School Education Department has made an endeavour to bridge up the learning differences identified among the learners during A.Y 2017-18, especially the C1, C2, D1 and D2 grade low proficient learners. 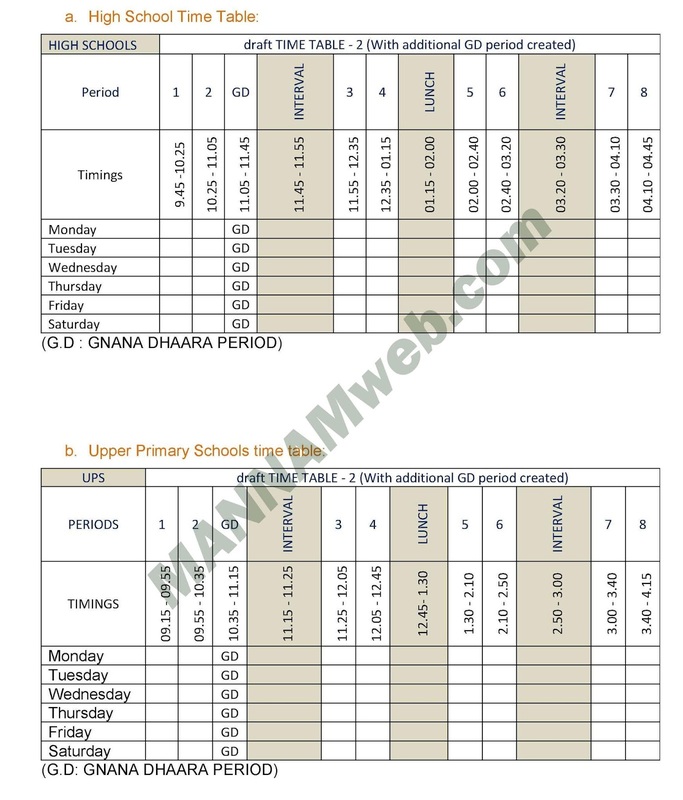 Accordingly, it has launched “Gnana Dhaara” Remediation Programme for Class V & IX during the summer vacation in 2018. It is a consolidated view that these sessions, if scrupulously implemented, would have an encouraging impact to all those remedial seekers in the first instance. As part of this initiative, the Gnana Dhaara Learning Enhancement Programme (GD-LEP) is introduced for English, Telugu and Mathematics during the academic year 2018-19. The teaching approach in remedial classes is different from the regular school hours. A two dimensional approach is designed to provide hand holding in basics as well as academics. This series emphasizes testing broad learning outcomes of previous class and reinforces the class - specific learning outcomes mapping with the contents of the existing text book. This series has two broad segments, i.e. Classwork and Homework. 1. Homework: It is a common frame work for all the classes VI, VII & VIII which mainly aims at enriching the much-needed fundamentals of learning the subject. The teacher should ensure that the homework content is assigned to the students on daily basis. The teacher must ensure that the evaluation of the homework content is religiously carried out on the successive days of the remedial programme. This is the heart of effective implementation of the programme as well as achieving its core objective and motto. If need be, a regular remedial session may be utilized at full-length to ensure the evaluation is done in the stipulated timeframe. The Homework segment is classified into five broad stages of 30 days each to develop literacy and numeracy from their basics. All the activities are framed and incorporated in such a way that the previous knowledge of the students is tested and to that new concepts are addressed in a simple way making learning a joyful experience while exploring the subject. The activities so designed not only strengthen conceptual learning, but also enables students to identify the practical errors, edit them and correct them on their own. 2. 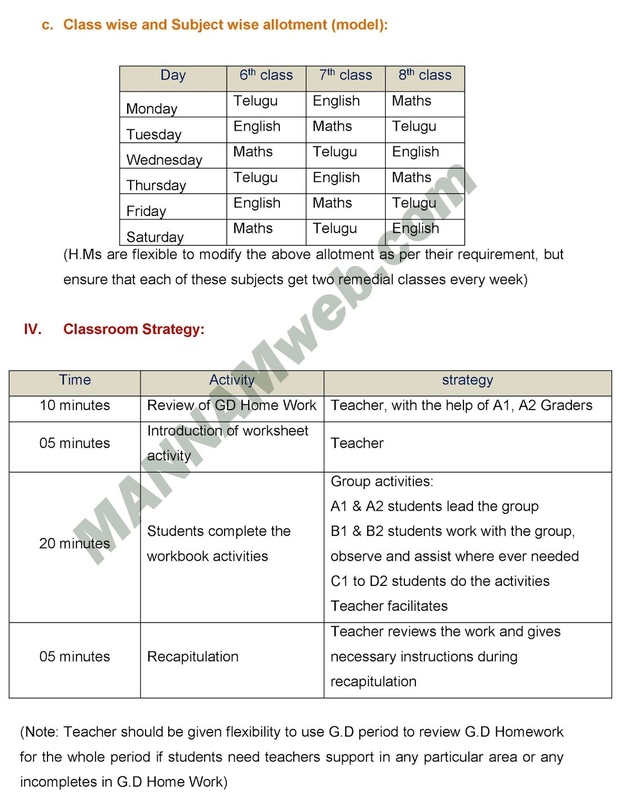 Classwork: On the other hand, the focus of classwork segment is purely textual – related to integrating all the unit-wise class specific learning outcomes in its totality. The worksheets will play the role of a navigator to introduce the topic succinctly and shall reinforce the learning outcomes substantially. While designing the remedial chapter / unit-wise contents, utmost care has been taken in designing activities that involve students of C1, C2, D1 and D2 grades. Working on these exercises shall provide minimal understanding through simple activities during remedial sessions of 40 minutes each. The teacher should ensure that the activities designed are carried out in the stipulated two periods allotted for remedial teaching in every week. The teacher is suggested to make optimal use of the worksheets after introducing the topic in the class room, taking help of the concept boosters in the relevant worksheet itself. A unit - end assessment is also prescribed to ascertain whether all the desired outcomes have been achieved. This will propel as an Assessment Tracker. The remediation in a way plays the role of a catalyst to enrich above average students in general and boosts up the learning experiences of D1 & D2 remedial seekers in particular. Involving A1, A2 and B1, B2 students is important to promote peer-learning. The main aim of introducing the remediation content is to bridge the learning gaps among C1, C2, D1 and D2 students enabling them to reach up to the class level competencies with continuous and consistent support. Gnana Dhaara Period is created by pulling out 5 minutes from each period. Hence there is no increase in school timings. 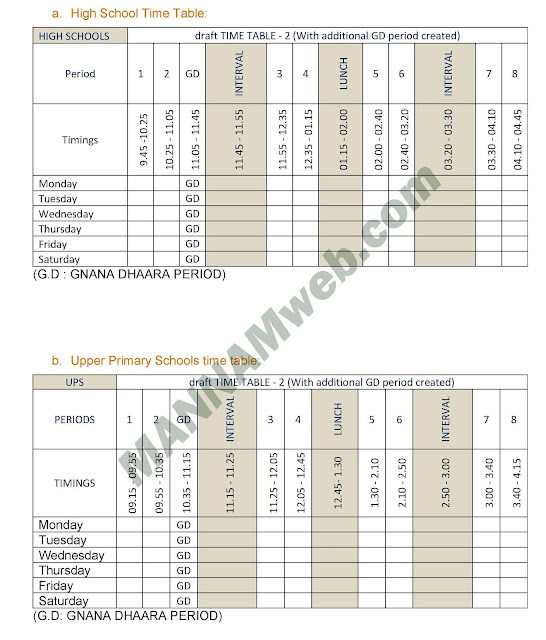 During GD period, Classes 6 to 8 are engaged by Telugu, English and Mathematics subject teachers. Hence, the H.M should see that 9th and 10th classes are engaged in P.S/N.S/S.S/Hindi subjects/DCR class/ either for completion of syllabus/revision/model tests practice/project works/innovative practices/pre-board preparation activities. If there are more than one subject teacher in the school, subject to the level of possibility, Head Masters should ensure that all subject teachers should work in coordination during and after GD period and ensure that the class is engaged for the purpose. Learning outcomes of the students in GD LEP are assessed in three dimensional ways. External assessments are not a part of the regular assessments. The testing tools are designed to assess the achievement of students through GD LEP programme implemented. Evaluation should be done at school level and the data can be collected through online to evaluate the impact of the programme and further follow up. 1. Students progress in academics through GD LEP programme will be assessed by conducting baseline, midline and endline tests during AY 2018-19. The test tools will be provided by SCERT and the evaluation should be done at school level by the corresponding subject teachers. In each district in a sample of schools external evaluation will be taken up to study the impact assessment.